Fueling your body with nourishing foods is one of the most important keys to improving your health and personal vitality. Removing unhealthy foods from your life can feel like deprivation, instead concentrate on adding healthy foods and you’ll experience a sense of abundance. Eating these five foods can help ward off illness and improve your energy levels. 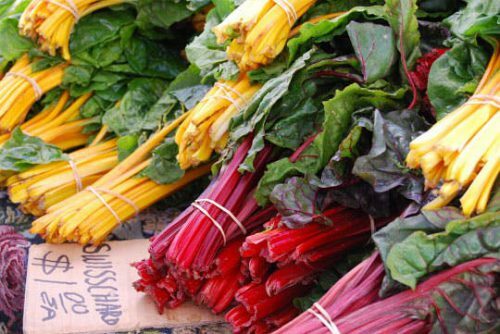 Add these super-healthy foods daily and you’ll feel amazing! In nature, the most plentiful foods are dark green leaves. The diet of early humans mostly consisted of staying full by nibbling on raw leaves, with a little lean meat and an occasional fruit or nut in season. Because they’re our primary evolutionary food, it’s no coincidence that leafy green vegetables contain most of the nutrition that we need to stay healthy. Kale, spinach, and other nutritional powerhouses offer vital nutrients and protect you from toxins, sun exposure, diabetes, and cancer, among other things. Keep prewashed greens in your refrigerator and start adding them to salads, soups, casseroles, stir-fries, and other dishes. I personally love to add a handle of spinach to my eggs or smoothie every morning. Experts recommend making fatty fish a staple in your diet. Salmon, tuna, trout, mackerel, and other fatty fish are a great source of protein. Using fish to replace some of the red meat in your diet will help you cut your consumption of calories and saturated fats. 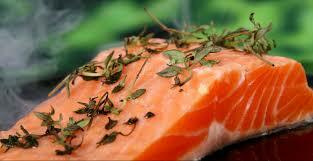 Omega-3 fatty acids in fish protect against cardiovascular disease and can help combat depression. Broiled, grilled, or steamed fatty fish are delicious on their own, in sandwiches, and on salads. If I had to choose one food to live on, it would be salmon. I could eat it everyday. A super simple recipe is to take a piece of wild salmon brush a little olive oil on top and add salt and pepper to taste, bake skin side down for 15 minutes at 450 degrees. I squeeze a bit of lemon on top when done and serve with a side of sauteed greens and a sweet potato. 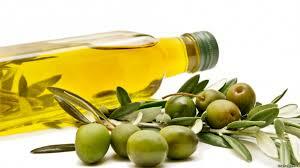 Another way to decrease your saturated fat consumption is to replace butter and other oils with olive oil. Olive oil is anti-inflammatory, anti-oxidant, and rich in omega-3 and omega-6 fatty acids. Studies have shown that olive oil helps protect against strokes, high blood pressure, and Alzheimer’s disease. You can make your own salad dressing with olive oil and balsamic vinegar, marinades with olive oil, dijon, lemon juice and use it for sauteeing and baking. A little goes a long way so make sure to measure instead of pouring directly from the bottle. Tea is rich in antioxidants and free-radical fighting polyphenols. 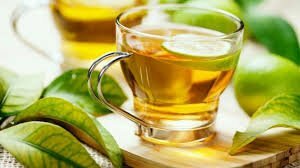 Green tea may also boost your metabolism. Drinking tea can help eliminate cravings and reduce consumption of other unhealthy sugary drinks. Having a cup of tea a few times a day also helps us slow down and savor the moment. Tea may reduce your risk of heart attack and stroke, help protect your bones and even keep your smile bright. I love my morning cup of coffee, but the rest of the day I try and stick with tea. I love green tea, matcha and herbal teas. 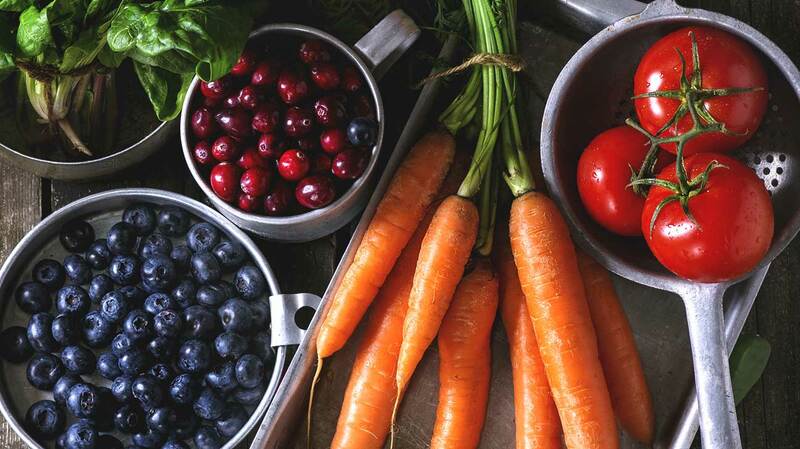 According to Lifesum, eating fruits and vegetables can boost your energy levels and maximize your nutrition. 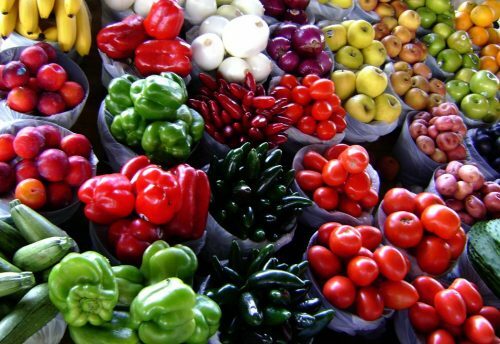 Nearly every variety of brightly colored fruits and vegetables contains important nutrients and phytochemicals. The best way to make sure you’re receiving all the nutrition you need is to eat a wide variety of whole, unprocessed fruits, and vegetables every day. Tomatoes contain lycopene, blueberries are full of vitamin C and antioxidants, cauliflower is a rich source of vitamin K and bananas are loaded with potassium. Try incorporating at least one fruit or vegetable at every meal. Avocado toast at breakfast, and apple at lunch, carrots and red peppers with hummus for a snack and roasted brussel sprouts at dinner for example. Nourishing your body on a cellular level every day will keep you vibrant. Including some leafy greens, fatty fish, olive oil, and green tea in your daily diet along with plenty of colorful fruits and vegetables will keep you energized and happy and healthy for a lifetime.